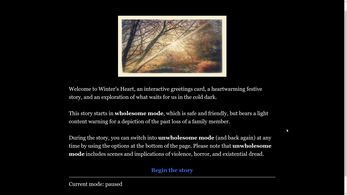 Winter's Heart is both(either) a heartwarming story of the solstice and an exploration of what waits for us in the cold dark. I've provided links above in case anyone's feeling generous, but please don't feel pressured to give. I know finances are tight at this time of year. 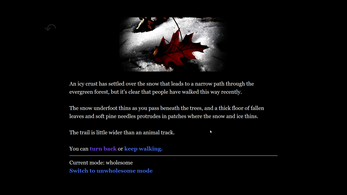 I hope you enjoy the interactive story, either way. 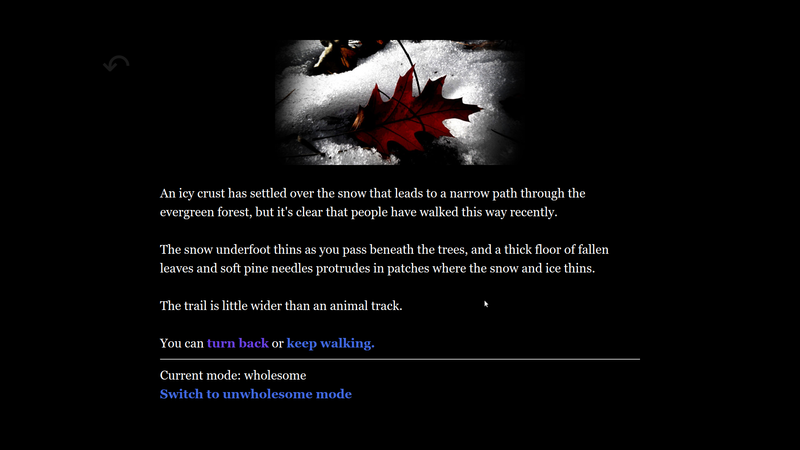 If you're interested in elements like the wholesome/unwholesome mode switch, that should hopefully be appearing in a future tutorial project. May the coming year treat you well, and may all the shadows you meet be comforting ones. 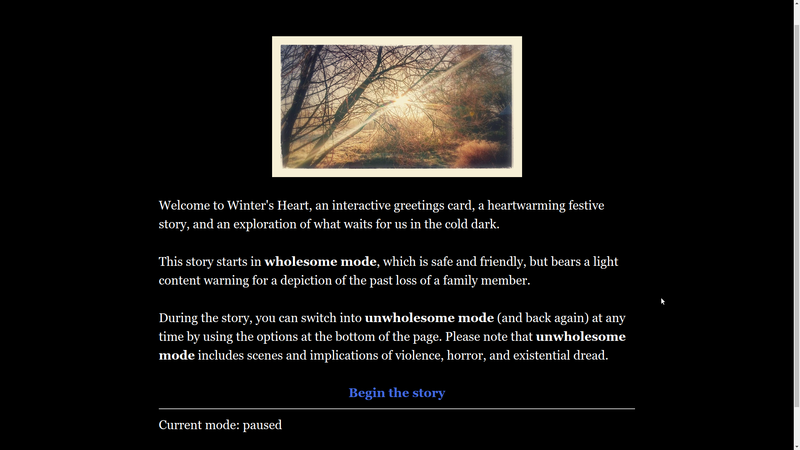 Blimey, 'Wholesome' and 'Unwholesome' are one way of describing the alternate versions I suppose, ha! Never the less, I really liked it! Well done!